A look at the techniques involved in creating Robs stunning paintings. Working predominately with oils and acrylics, Rob’s work is both eminently understandable and intensely familiar. Colour, light and texture harmonise intelligently and with stunning candour to produce works that resonate with vibrant life. Robs creation of a painting bears witness to his unerring ability to create an atmospheric backdrop. Whether working with chalk pastels, oils or acrylics, Rob’s ability and innate flair see him capture life as it is lived. His sensitive capacity to see beyond our masks and reveal the touching truth of who we really are is a testament to his deep insight. 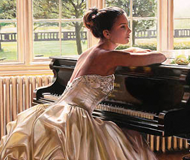 If you are looking to commission a portrait Rob Hefferan is at the forefront of contemporary figurative art. His art is sought after by collectors from around the world. Your wedding is a day like no other. It represents the culmination of your love for each other. But weddings, no matter how elaborate or special, pass swiftly, leaving behind a final swirl of confetti and a collection of memories. Sadly, even the most precious memories have a tendency to fade over the years, whereas wedding portraiture. Hanging on your wall, it will serve as a constant symbol of your love for each other. 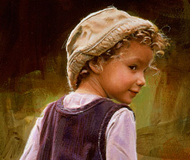 Commission a master portrait painter in Leeds to create a likeness of your loved ones. A family portrait in Cardiff is intimate and personal. There are five simple steps to commission a portrait in Brighton.